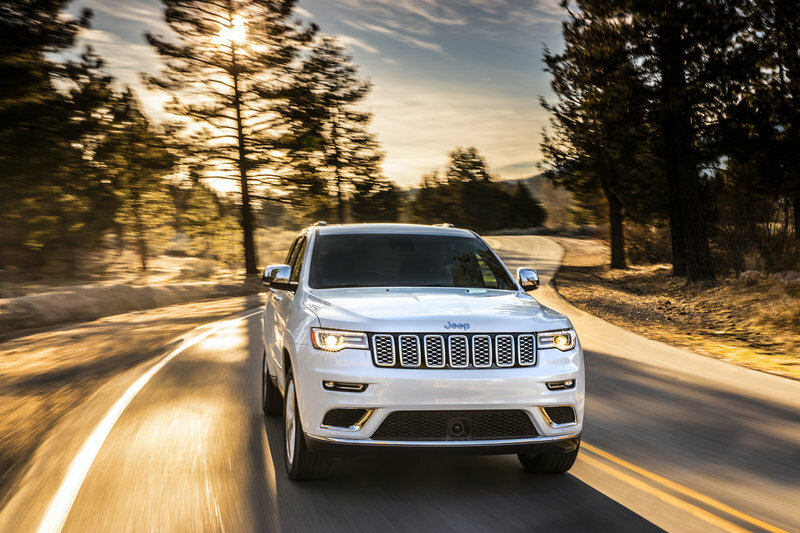 The 2016 New York Auto Show brought tons of new vehicles to the market, including several special edition models like the updated Jeep Grand Cherokee Trailhawk. This go-anywhere version of the venerable Grand Cherokee brings added attitude and abilities to the iconic SUV. However, Jeep product planners didn’t’ stop there. They also introduced the Grand Cherokee Summit – a high-end version of the Grand Cherokee that sits atop the model line. The Summit name isn’t new for Grand Cherokee. 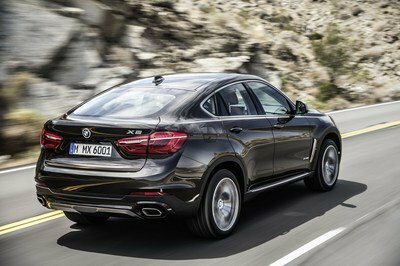 In fact, the trim level has been seen on past models since at least the start of the decade. However for 2017, the Grand Cherokee Summit receives the latest front fascia with LED lights, 20-inch polished aluminum wheels, and an interior that’s fully wrapped in Laguna leather with the latest gear shifter design for the SUV. 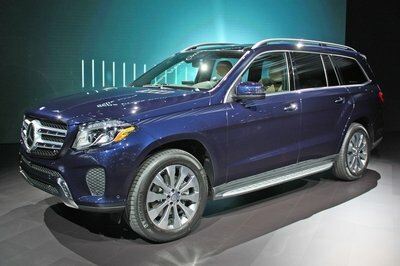 It represents the all-out, most luxurious trim available for the hardy off-roader. Of course, the Summit trim shares its high ranks with the Grand Cherokee SRT and the upcoming Hellcat version rumored to be called the Trackhawk. Nevertheless, the Summit will be the most posh of the bunch. Specifically, the Summit includes loads of standard features, including a suede headliner, auto-folding power mirrors, headlight washers, and a host of active safety systems. Also standard is Jeep’s Quadra-Drive II 4WD system and the Quadra-Lift air suspension system. Jeep allows the customer to choose the powertrain that’s right for them. This means the 3.6-liter Pentastar V-6, 5.7-liter Hemi V-8, and 3.0-liter EcoDiesel are all optional. 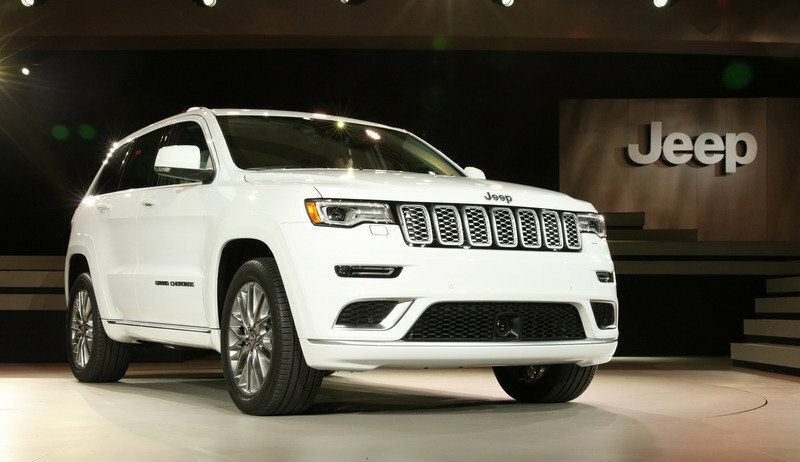 The 2017 Jeep Grand Cherokee Summit will be available late summer of 2016. Prices have yet to be announced. The Grand Cherokee Summit certainly stands out against other Grand Cherokee models. The front fascia has a much lower approach angle, features chrome accents and the center-mounted radar unit for the cruise control system. The upper grille is familiar, but treated to chrome rings and chrome mesh inserts. 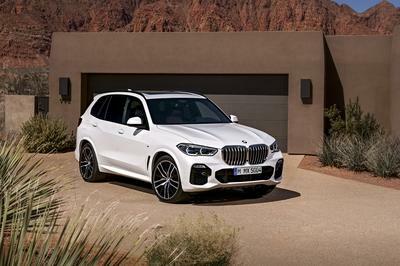 Along the side, chrome trim runs along the rocker panels, around the windows, and resides atop the mirrors and roof rack. The 20-inch, 20-spoke polished aluminum wheels bring a more upscale look to the Grand Cherokee, giving it a premium appearance. Around back, chrome trim lines the bumper’s top edge, while bright trimwork resides around the reverse lights. Hexagonal, chrome-tipped exhaust outlet protrude from under the bumper, finishing off the high-end look. The Grand Cherokee Summit’s interior is covered in cow. Nearly every surface is treated to Laguna leather. The door panel inserts and side bolstering on the seats receive a quilted pattern for added flair. Wood and aluminum trim line the dash, as does stitched leather. The interior features the redesigned gear shift first seen in 2016. This marks the only major recent change. The rest of the cabin is familiar. Don’t mistake familiarity with dull – the Grand Cherokee’s cabin is a wonder place to spend time. The 8.4-inch Uconnect infotainment system offers outstanding usability and functionality, while the driver’s gauge cluster offers a large TFT display for vehicle information, settings, and speed. The multi-function steering wheel holds controls for the driver information screen, cell phone functions, and the radar-based cruise control. The interior on all Summit models includes a suede headliner, lighted door sills, acoustic glass, Active Noise Cancellation, Berber carpet, and a Harmon/Kardon sound system with 19-speaker, 825-watt am, and three subwoofers. The Summit can be had with four different leather colors. They include Indigo (pictured), black, brown, and dark sienna brown. The Grand Cherokee Summit can be had with the Grand Cherokee’s full lineup of engines. The standard engine is the 3.6-liter Pentastar V-6. Making 295 horsepower and coming with a Stat/Stop system, the V-6 offers the best bang-for-the-buck case with power and efficiency ranking high in both categories. For those who want more power, the 5.7-liter Hemi V-8 is the proper choice. The big V-8 offers up 360 horsepower and 390 pound-feet of torque. Jeep’s Multi-Displacement System cuts four of the eight cylinders when not needed, helping save fuel. Those wanting both power and efficiency should opt for the 3.0-liter EcoDiesel. The V-6 turbodiesel makes a respectable 240 horsepower and 420 pound-feet of torque while still delivering nearly 30 mpg on the highway. Filled to the brim, the Grand Cherokee EcoDiesel can travel roughly 700 miles on a single tank. Regardless of engine choice, the Jeep comes with an eight-speed automatic transmission. 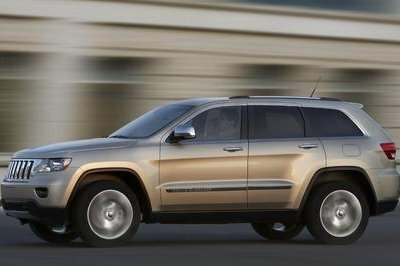 The 2017 model year makes Jeep’s Quadra-Drive II 4WD system standard equipment on the Summit trim. The 4WD system uses an electronically operated limited slip differential to send power to whatever wheels have traction, helping get the Jeep over nearly any slick surface. Also standard is Jeep’s Quadra-Lift air suspension system. Selecting different setting on the Selec-Terrain Traction control system raises and lowers the Grand Cherokee depending on the terrain. The five height settings allow for 3.1 inches of body travel up and down. 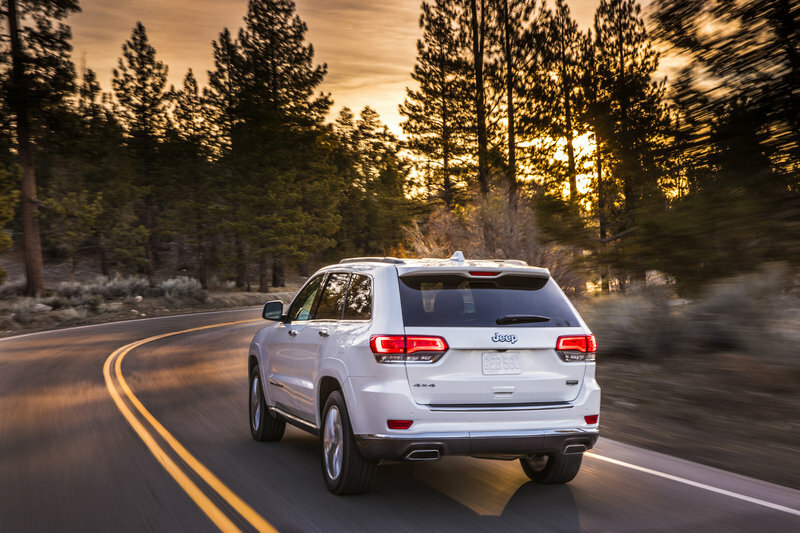 The Summit model comes standard with the Grand Cherokee’s wide selection of active and passive safety systems. On the active side, the Summit adds Blind Spot Detection, Forward Collision Warning, Adaptive Cruise Control and, for the first time, Lane Departure Warning and Parallel and Perpendicular Park Assist. Passive systems include multi-stage airbags, seat belts, and a safety cell that envelops all five occupants. Jeep has not announced pricing for the 2017 Grand Cherokee Summit edition, though the 2016 version, with 4WD, starts at $52,000. Expect prices to rise slightly to cover the added upgrades. The Touareg is a handsome two-row crossover from Volkswagen that offers a higher level of luxury and standard equipment than most competitors in its class. This makes it a perfect competitor for the Grand Cherokee Summit. Three engine options are offered; the standard mill being the VR6. Optionally, customers can choose a hybrid version or the TDi – at least theoretically once VW gets this “dieselgate” scandal behind it. 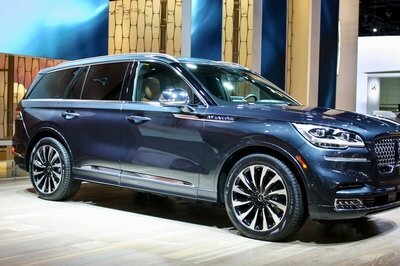 The Touareg is a pricey crossover. It’s base MSRP starts at $45,000 for the VR6, moves to $53,000 for the TDi, and crests at a whopping $68,000 for the hybrid. You’d certainly have to want the Touareg at that price, especially given the long list of other SUVs available in the $50- $60,000 range. 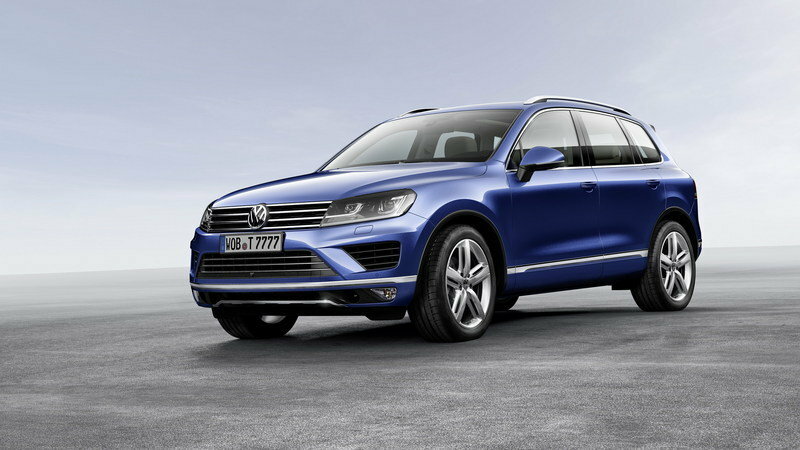 Read our full review on the Volkswagen Touareg here. The 2017 Jeep Grand Cherokee Summit offers a high level of luxury with an impressive level of go-anywhere capability. Perhaps its possible to consider it a poor man’s Range Rover. It has all the right features, plenty of leather and features in the cabin, and optional V-8 power. Sure, the comparison might be a stretch, but it’s still possible. It’s great to see Jeep giving the Grand Cherokee some attention this year at New York. The added features should help bring customers to dealerships and move more product. 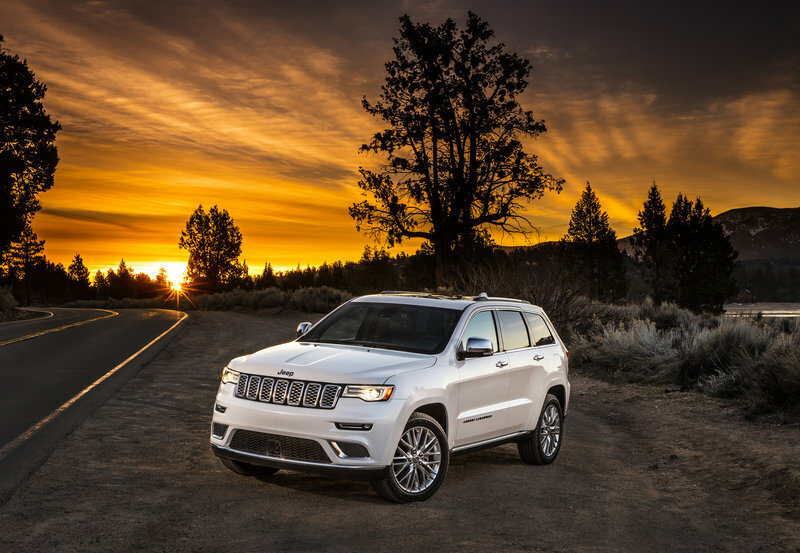 Jeep says the Grand Cherokee’s sales were up seven percent in 2015, with total sales equaling 195,598 units. It’d be an easy prediction for the Grand Cherokee to break that 200,000-unit ceiling. 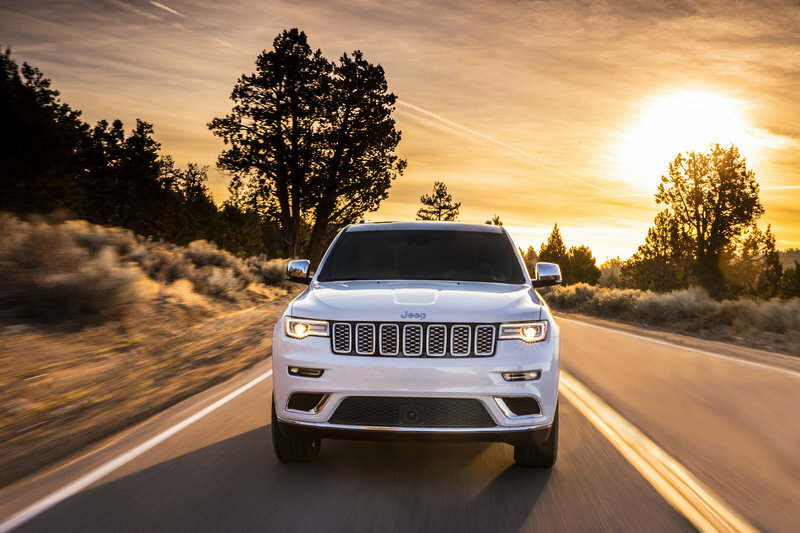 March 23, 2016, New York - Already the most awarded SUV ever, the Jeep Grand Cherokee is about to become even more capable and even more luxurious. Packed with standard premium amenities, the new 2017 Jeep Grand Cherokee Summit is the most luxurious vehicle in the full-size SUV segment. 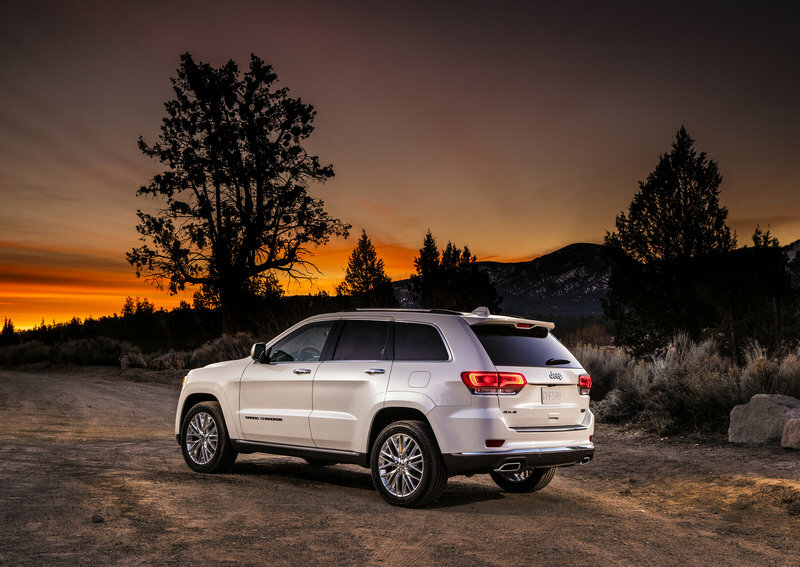 The Grand Cherokee Summit’s exterior boasts a new look with an updated front fascia, grille and LED fog lamps, with new 20-inch polished aluminum wheels. A stunning new full-wrap Laguna leather interior in Indigo and Ski Gray is one of four color schemes. The full leather interior boasts a Nappa leather-wrapped dashboard, center console and door panels, and Laguna leather seats with edge welting. Other Summit interior colors are Black, Brown and Dark Sienna Brown. All Summit models come equipped with a suede premium headliner, lighted door sill, acoustic windshield and full side glass, Active Noise Cancellation, premium Berber carpet mats and a Harmon/Kardon 19-speaker, 825 watt amp audio system with three subwoofers. An array of technological and other features are also standard on the 2017 Grand Cherokee Summit, including auto-folding power mirrors, headlamp washers, Blind Spot Detection, Forward Collision Warning, Adaptive Cruise Control and, for the first time, Lane Departure Warning and Parallel and Perpendicular Park Assist. Jeep’s Quadra-Drive II 4x4 system with ELSD is standard on all Summit models, as is Grand Cherokee’s Quadra-Lift air suspension and Selec-Speed Control. Jeep Grand Cherokee Summit models are available in Light Brown Stone, True Blue, Bright White, Ivory Pearl, Granite Crystal, Velvet Red, Diamond Black Crystal and Luxury Brown exterior paints.